Real estate data companies such as Home Junction can give your materials for open houses and brochure boxes extra impact with buyers (and potential sellers). The open house – that age-old practice that agents still need to do on Sundays and in many cases, despite all the high-tech gadgetry out there, is still a very effective strategy to generate sales and listings. So is that little brochure box attached to your real estate signs. Open house strategies include the essentials – de-cluttering the home, painting the home and depersonalizing the home by removing all those family photos and clown pictures from the walls. Oh, and don’t forget to get the dog out of the house, and his dog dish and toys. But one very important feature is the importance of appealing marketing materials. Let’s face it. People like free stuff. They like takeaways they can browse later. If they are visiting multiple homes, they certainly will like a brochure to help them remember details about the house they visited. Glancing at a sheet of paper is still easier than digging up that info on your phone, tablet or laptop. As far as marketing, that printed piece can be very impactful in persuading buyers this is the home for them (or sellers you are the agent they want to list their home with when they are ready). But an agent should also pay attention to preparing that brochure. Because after the visitors leave, that brochure is the next item that will help them in their decision-making. Be sure to include ALL the important features of the property. Sure, you need the square footage, age, price, etc. And you need to point out the amenities – a pool, mother-in-law apartment, etc. Also, don’t scrimp on the photographs. Be sure those photos of the property really pop on that brochure. As we know in this era of Instagram and Snapchat – consumers are image-oriented. Those images will have just as much impact as the text. But why not go even further. Be sure to add property data that can be easily acquired by real estate data companies such as Home Junction. For example, show a chart indicating market trends for that neighborhood. Perhaps home sales are turning upward and your chart shows a hockey-stick trend line heading higher. Could be just the catalyst to push a buyer to act quickly. Or, maybe home prices are increasing. Again, a prompt that now is the time to grab this property. Another use of property data would be to show how this home is priced compared to others in the market. Perhaps it’s below the average per square foot or even if it is at the average, it assures visitors this property is not excessively priced. Highlight the pros of not just the house, but the neighborhood too. School are always important. Real estate data companies such as Home Junction can supply agents with fully-detailed school data. Perhaps this neighborhood tends to skew younger in age. With lots of children. Mom and dad buyers are going to be interested in that. Here’s another very important feature where property data can be a huge influence in securing a deal. Home Junction offers geo-spatial map plugins that allow agents to integrate maps with their listings. Perhaps this business is close to a great golf course. Or maybe it’s near a very chic shopping area with the best yoga studio in town. Show off those location amenities! 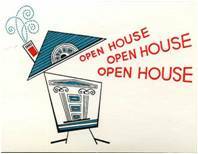 Here’s another benefit from open houses and those brochures boxes. Not every visitor is a potential buyer. Many are people who live on the street or in the same neighborhood and are curious as to how their neighbor is selling their home (or many of them might have the extra cash to invest in a second-home). A detailed brochure with in-depth property data is going to impress them as well. When they see the lengths this agent goes to marketing a property and how they cover ALL the angles, that is going to stay in their find when they decide to sell. Open houses are still effective. But in this day and age of easily accessible big data, offering detailed, in-depth property data is one of the newer and more effective value-plus strategies EVERY agent should include with an open house. Real estate data companies such as Home Junction can easily supply you with all that relevant market data to show you are truly the agent with local knowledge and go the extra mile to promote a property.